In the last post we looked at how to render text. Now let’s take this a step further and change the appearance of the font. There are two ways you can change how the font looks. Font style and font outline. You can combine these in any way you like. We’ll start off with just setting a single font style at a time, and then move on to see how we can apply several of them at once. As you can see, the style parameter is an int and not an enum. I’ll get back to why that is later, but for now let’s look at the possible values for style, these are all self-explanatory so I won’t be adding a description. Any text you render after setting this font style will have the new effect, but it won’t change any text you have written with a different style. So when you set the style to TTF_STYLE_BOLD, all text you render from that point and until you set a different style will be bold. And as long as you pass any of the above values to the function, the font will only have the one last style you set. On a daily basis, we use the decimal number system. 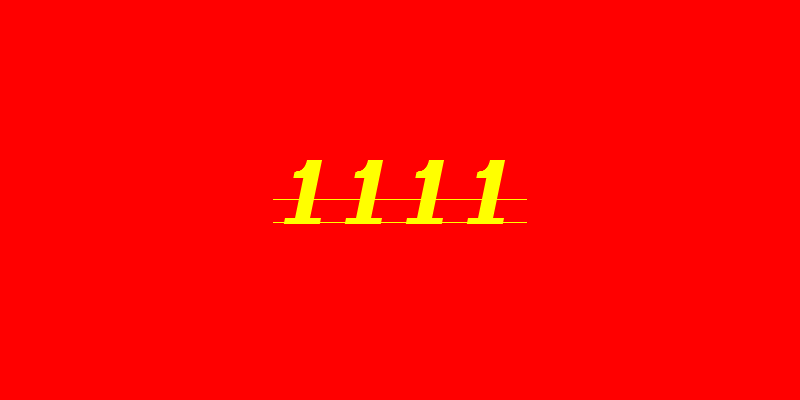 The binary numbers system is just a different way of representing numbers. Any numbers can be converted from any other number system. So you can convert binary numbers to decimal numbers ( and the other way around ). A computer stores numbers as individual bits ( 0‘s and 1‘s ). They correspond to on / off or true / false. As you can see, it has 8 digits. So that’s eight different flags. Each of these flags have two different possible values : 0 / 1 or false / true. So that’s 8 bools for the price of a single byte! These work on an entire variable. An int, for instance will be false if its value is 0, otherwise its true. But there are similar operations that does this on all bits of a variable. These are called bitwise operations, simply because they operate on a simple byte. To do a bitwise operation, we need two variables of equal size ( same number of digits ), for instance two bytes. The result of a bitwise operation is a third variable of the same size. So if we do a bitwise operation between two bytes, we get a third byte back as a result. We’ll be referring to each digit as a position. So the digits in the first position is 0 in both or bytes. In the second position it’s 1 in both bytes and in the third it’s 0 in the first byte and 1 in the second byte. In a bitwise AND operation, we look at each position and see if both of them are 1. If so, we set the digit in that position to 1, otherwise we set it to 0. So in OR we set it to 1 if any of the two is 1, here we only set it to 1 if both are 1. XOR or exclusive OR is slightly less known than OR and AND. In an XOR operation, we check if the two values are different. So this is equivalent to != in C++. Simply put, an XOR operation is true if the two parts are different. So in a bitwise XOR operation, we look at each position and see if the two digits are different. If so we set the digit at that position to 1, otherwise we set it to 0. The operator for bitwise NOT in C++ is ! So now that we know how to do bitwise operations, we need a way of checking and setting the individual bits. This is done simply by using OR, AND and XOR. Before we take a look at how to do this, let’s define a few values to check. As you can see, they all have only one ( or zero ) bit set. 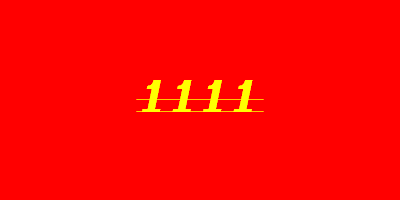 This means we can use AND, OR or XOR on just one bit. Simple as that! This woks for any of the other flags in the same way. They all will end up setting one bit. Let’s make a simple function that adds a style to a mask. But we can’t use AND with the flag we want to unset alone, because that would keep the flag at 1 and change every other to 0! To check a bit, we also need to use the bitwise AND operation. And since we are only checking and not setting, we don’t have to store the value anywhere which means we don’t have to worry about changing anything. As you can see, we only check the bit that’s set in our variable ( TTF_STYLE_ITALIC set ) the others will be 0 no matter what our mask is. The value 0001 is not 0, and thus this evaluates to true and we now know that the font is bold. If our mask didn’t have the bold bit set ( only the italic one ), our mask would be 0010. An AND between 0010 AND 0001 is false ( they have no bit set to 1 in common ) and the result is 0 aka false. So let’s create a function for that too! With a little knowledge about binary numbers and bitwise operations, we can easily set, add, remove and check various font styles in SDL_TTF. Feel free to comment if you have anything to say or ask questions if anything is unclear. I always appreciate getting comments. In the previous parts, we’ve look at how to render rectangles and images, both with and without transparency. Now it’s time to look at how we can render text. Rendering text is tricky. You’ll want to be able to render any font, in any size and preferably every possible character. Luckily, with the SDL_ttf library, this is easy. SDL2_ttf, just like SDL2_image, is an additional library for SDL2. It can use just about every font, and you can set the size and text styling too! TTF, or TrueType Fonts is a type of fonts developed by Apple and Microsoft in the late 90’s. True Type Fonts offers a high degree of control on how the font looks. The internals of TTF fonts and how they work isn’t important here. The important part is that they’re easy to use, will look really nice ( even scaled up. ) And they’re also widely used, so finding fonts shouldn’t be a problem. As with SDL2_image, SDL2_ttf is an additional library for SDL2 that deals with rendering text and makes it very easy. It is based on libfreetype, a library for writing text using TTF fonts. However, it’s not very practical to use. SDL2_TTF makes using it a lot easier. But if you do want to use it yourself, you can take a look at their tutorial. Setting up SDL2 requires a tiny bit more work than SDL2_image, but don’t be scared, it’s still very easy. First we need to install the ttf library. The process is more or less identical to that of setting up SDL2_image. If you can’t find SDL2_ttf in any repositories and it’s not installed by default, you might have to compile it yourself. For more information, see my blog post about setting up SDL2. Similar to setting up SDL2 base. And with that, it should work. Unlike SDL2_image does need to be initialized. Why? Because libfreetype, the library that SDL2_ttf builds upon needs to be initialized, so naturally SDL_ttf needs to be initialized too. Just like SDL_Init(Uint32 flags) this function returns -1 on error, but unlike SDL_Init(Uint32 flags), this method does not have any flags. The basic object for SDL_TTF is TTF_Font. A TTF_Font basically holds information about a font like the font itself and data about styling and size. The exact internals of TTF_Fonts is only known to the library using it so I won’t go into depths about it. As you can see, both the arguments and return value is the same for TTF_RenderText_Solid and TTF_RenderText_Blended. 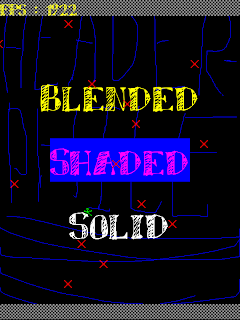 So what’s the difference between TTF_RenderText_Solid and TTF_RenderText_Blended? The difference is that TTF_RenderText_Solid is very quick, but TTF_RenderText_Blended produces a better result. In our game, we won’t be updating our text surfaces all that often, and there’s not a lot of them either, so TTF_RenderText_Blended is a good choice. The difference is not huge, but in the actual game it will be more clear. And the difference might also vary from font to font. This function is a bit different from the two other ones. 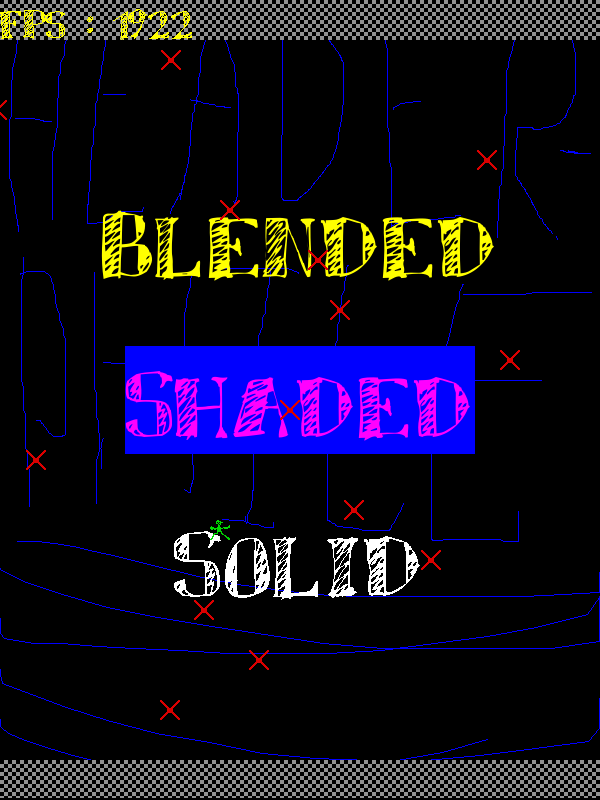 It will render the texture with a specified background color. So it’s almost the same as the other two, just with a fourth argument for the background color. The return value is also the same as the other two. The difference in the resulting function is that you will get a texture with a background color. The background color ( bg ) will fill the entire rect around the text. The text will be rendered on top of it with the specified foreground color ( fg ). Below is a simple example that should run and compile out of the box. For compilation details, look below. I have done a bit of cleaning up in the game code. I’ve added a new Texture class for text, cleaned up include, removed ( and added ) comments, improve delta calculation++ Everything should be explained in comments, but, of course, if you have any questions of any kinds, just comment or contact me, I’ll be happy to help. You can find the code here. Text rendering can be hard, but SDL2 makes it quite easy. Just load your TTF_Fonts and you can easily get them as a SDL_Surface.